Wood fires, roasted chestnuts, rusty red leaves and brightly coloured branches heavy with berries... 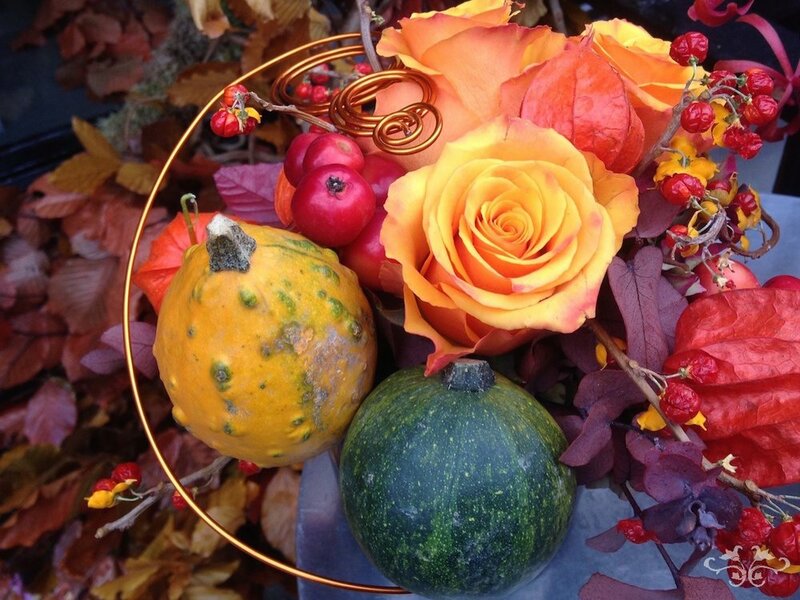 Autumn is our favourite season for its warm colours, rich textures and exceptionally wide variety of plant material. With a fabulous range of design-inspiring flowers, berries and foliages in tints and tones that will warm the soul, we create hand-tied, limited edition bouquets and bespoke designs ranging from our Petite Couture arrangements to impressive large displays, all celebrating the richness of Autumn, as well as specialties for Halloween and Thanksgiving that will make these family celebrations even more unforgettable. You can see more about Autumn flowers and Autumn Dahlias in Neill’s blog posts.